Congratulations! You’re getting married! It’s your special day. The day you’ve been dreaming of all your life. So now what? How do you find the right entertainment for your reception? 1. Control – Most people spend more than a year planning every last detail of their wedding. When it comes to the entertainment, why just turn it over to any DJ? You should be hiring someone who will work WITH you to create the perfect plan for your ceremony and reception. 2. Cost – Don’t be drawn in by ‘low rent’ DJ companies. You get what you pay for-nobody is going to work hard for less. But try not to confuse ‘cheap’ with ‘reasonable’ either. 3. Personality – Make sure your wedding isn’t ‘cookie cutter’ and that it feels like you and your soon-to-be spouse. Make sure you hire someone who will listen to your ideas and get to know you to personalize your wedding as much as possible! 4. Song Choice – Sometimes you don’t want any of the classic “cheesy ” wedding songs played – sometimes you do! It’s your wedding, after all! Pick a DJ that will play what YOU want to hear, not what they want to play. 5. Profanity Concerns – Perhaps you aren’t a big fan of the profanity in many of the popular songs today. Make sure your DJ can get edited versions of songs if you don’t want the kiddos hearing bad words. 6. Remote Locations – If you aren’t holding your ceremony or cocktails at the same place as your reception venue, you will want to make sure the DJ you choose has the ability to bring their equipment with them and set up anywhere. 7. Experience – A true professional has experience and a good knowledge of all kinds of music. Also, a professional will understand different audio needs for all types of venues and be able to provide the necessary high-quality equipment you need. 8. Memorable – All your family & friends will cheer, “boy that DJ was great! What a perfect wedding!” – It happens all the time. 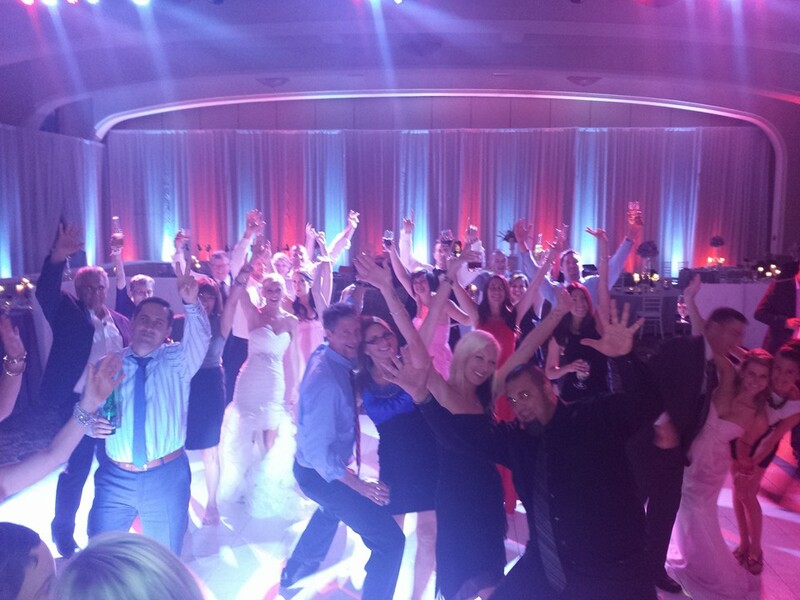 Be that wedding that everyone remembers what an AWESOME time they had dancing the night away!